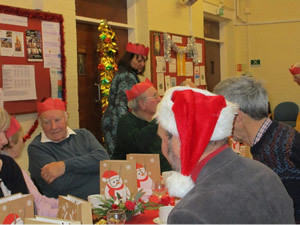 The Christmas Day Lunch went very well thanks to all the support and help we received, especially from the Worthingtons, the Linfords, Glynis Martin & Cathy Sidhom on the day. 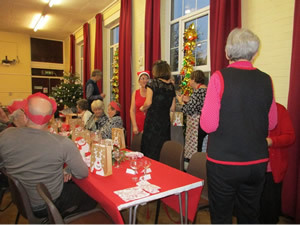 Beforehand, donations in kind and money and help setting up in the Hall and laying the tables was much appreciated, and Jane Cooke provided some lovely table decorations. 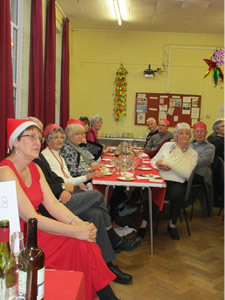 On the day we were surprised and pleased that all 34 of us (there were no absentees) were able to sit down for a super lunch together which I can safely say was much enjoyed by everyone. 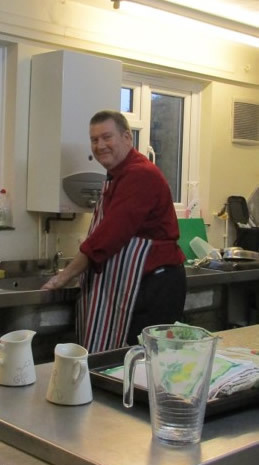 We ourselves had a wonderful day and so did our helpers and we hope the lunch will continue to be an annual event on the Church’s calendar for the future. Thanks again to everyone who contributed to a great day for all. Sue & David Chillman.